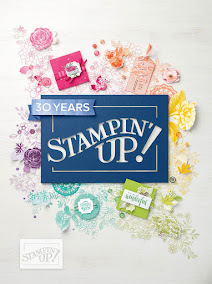 Welcome to My Cricut Craft Room's one year "BLOG-iversary" of our first 100 cartridge Blog hop! 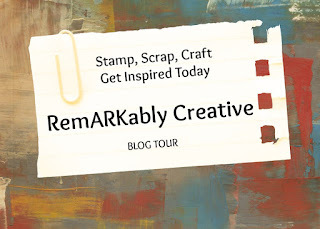 A year ago the blog was kicked off with the first design team members and daily postings. It took 2 months to get ready for this hop last year. Now we bring it to you the first full weekend of every month. Collectively the design team uses over 100 different Cricut Cartridges in their projects during the two days of this hop. Sunday the new members of the design team will be announced and some have even made a project to share with you!! What an exciting weekend!! As special treat enjoy 10% off of your total purchase with Erica's Craft Room Store. on July 7 & 8. Also on Sunday there will be an exciting announcement!!! Today, I am showcasing the following cartridges: Kate's Kitchen, Just A Note, Something to Celebrate, and Hey Diddle Diddle. First, I made a layout using Hey Diddle Diddle and Something to Celebrate. I used the Hey Diddle Diddle for the pattern paper and the stork image, which was cut out at 3.5". The date is from Something to Celebrate. The date was cut out at 1". Next up is a card that I made using Kate's Kitchen and Just A Note. I only used Kate's Kitchen to flood fill the images. I used the cricut craftroom to design and cut my images. First I cut out this cute little banner. I think this is the first banner I ever made. The banner was cut out at 1.7". I only cut the first layer and the shadow to keep it simple. I have no idea what animal this is suppose to be, but he's cute out at 4". Love your layout! The baby must be so grown up by now. They do grow up so fast! Love your card....your balloon looks like he is up to something! Very cute projects. Candace! Love that little die cut critter..whatever he may be! lol Happy to be your new DT sister! Have a great day! Happy to be a new follower! Great projects and yes the critter is cute. I'm guessing bunny?? whatever cute is right. and your layout is so sweet. 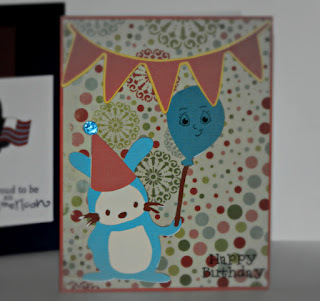 Adorable card and layout. love the papers you used, and the baby is precious. Candice, what a cute layout and the papers from the Imagine cartridge are darling! That little tiny baby is so sweet.... makes me want to hold and cuddle a baby! super projects, baby is the cutes ever! Great projects!! I think that little creature is supposed to be a rabbit, but it is cute no matter what it is! Love everything!!! Fabulous projects- love the adorable car. precious Lo's.. love the card too!! Very cute! love the simple and clean look of your layout. Adorable layout...love that stork and the cute little "whatever kind of animal...LOL" on the bottom of the layout. Close to My Heart News!